Dehler 38, a yacht that covers the whole range of pleasures of navigation. The Dehler 38 is a yacht covering the whole range of sailing pleasures from great convenience to high speed. 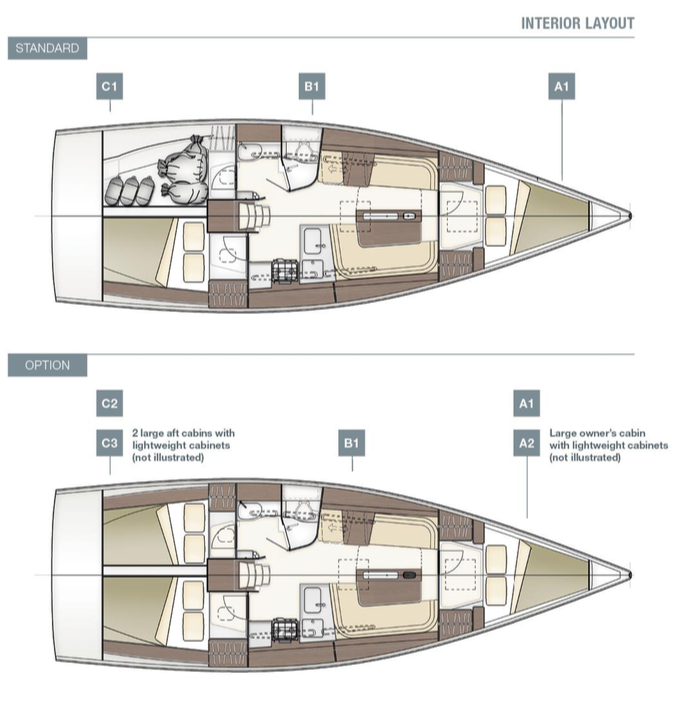 A deck layout optimised for single-handed sailing, a rigid hull protected against osmosis and a remarkably roomy cockpit. What else? That’s completely up to you. Enjoy assembling your Dehler 38. Our idea was to create a performance cruiser in the best sense of the word. So we faced the big challenge to make sure that any of its possible versions would be absolutely convincing. Now we are proud to state the Dehler 38 will definitely become whatever the owner considers as the ultimate sailing yacht.